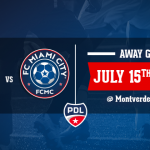 FC Miami City has locked down a new partnership for the team in what we can call the “widest-reaching partnership in the history of our team“. We are proud to announce today that Audible Sports will support your FC Miami City for the upcoming season. As we want to give to our players the best visibility and exposure, all activities, highlights and replays of our games will be streamed live online. This is an incredible opportunity for our Champions to be noticed and a great occasion to involve the community with our amazing team and project. 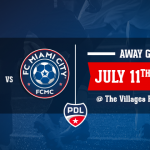 To hype its new association, Audible Sports will broadcast live on Youtube our Home games during the season, will take care of the FC Miami City TV and there will be plenty of on-the-ground video marketing, too. Audible Sports is #1 source for Sports Video Services in the U.S. The company is our local Source For Sports. They aren’t a franchise; They are an independent business owned and operated by a member of your local community. Every day Audible Sports delivers Broadcast, entertainment and sports information to thousands of watchers, college teams… Tune in and you’ll sports actions, replay, live games, sports news and inspiration. 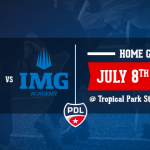 Save the date on May 7th to watch our first home game streamed live on Youtube versus the Floridians.